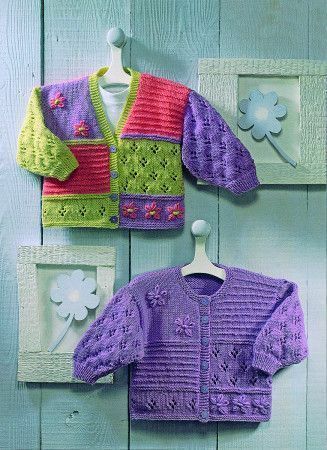 Plain and Coloured Cardigan pattern with an easy embroidered flower detail. Made with supersoft Snuggly DK. Originally knitted using Shade 341, 339 and 328, which have been discontinued. Please select an alternative.